Concept: A program for an annual spring event. 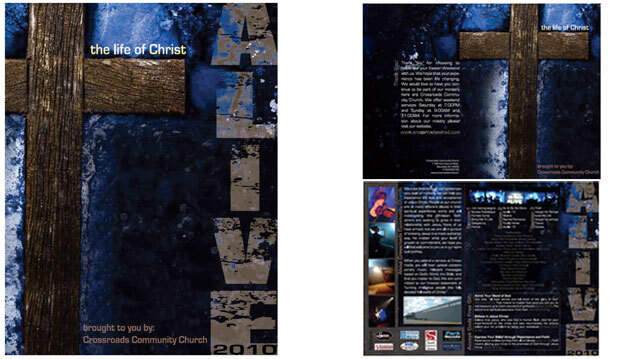 The program will be designed for a cutting edgy ministry for their Easter celebration. The program uses an asymmetrical fold to give a unique look and brand the even, ALIVE, on both the cover and inside.